Is it time to make a change with your water heater in Mesquite, TX? Maybe your current water heater has reached its age limit. Maybe you found a leak. Maybe you’ve noticed corrosion on the valves. Whatever has gone wrong with the heater means that it’s time to enter the market for a new one. As you begin your search for a new water heater you might want be thinking about a tankless water heater. 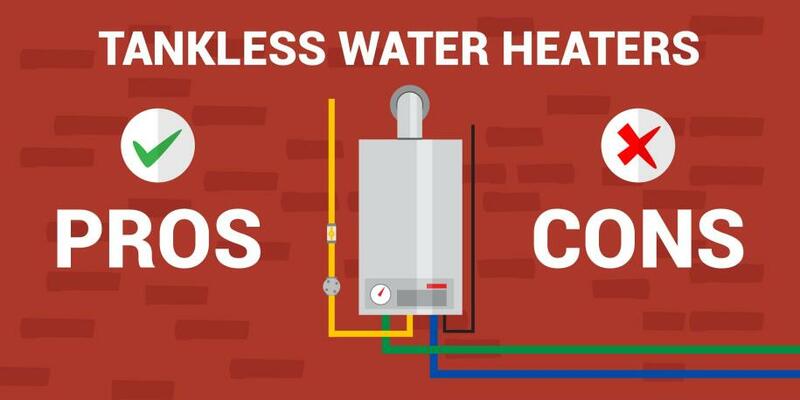 Let’s take a look at the pros and cons of tankless water heaters so you can make an informed decision. Owning a home comes with a lot of responsibility. One of the most challenging aspects of being a homeowner is making sure there are no issues with the sewer system or pipes in the home. When issues arise they can lead to leaks, disruption of service, and even thousands of dollars in damage if a pipe bursts. 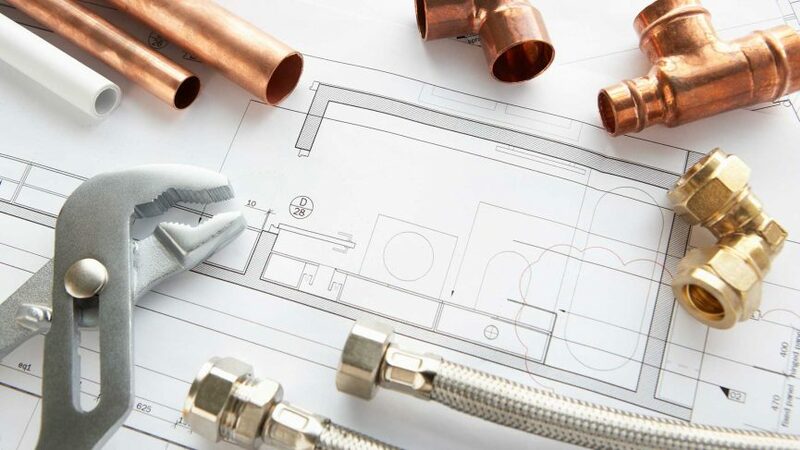 Many homes need to be repiped, which is a common plumbing service offered by Flow Plumbing. Repiping is the process of replacing the pipes throughout the home. Here are some signs that it’s time to replace the pipes in your home. Do you know the year your home was built? If the home was built prior to the 1970s and has not been remodeled you should consider having the pipes replaced. This is an intensive job that should only be performed by an experienced plumber. The pipes installed in homes that are 50 or older were done so using galvanization. These pipes tend to burst and corrode as they age. The flooring and parts of your walls will need to be opened up in order to remove some of the old pipes and replace them with new ones. Make sure you are ready for this intrusive project that is necessary if you want to prevent a disaster. 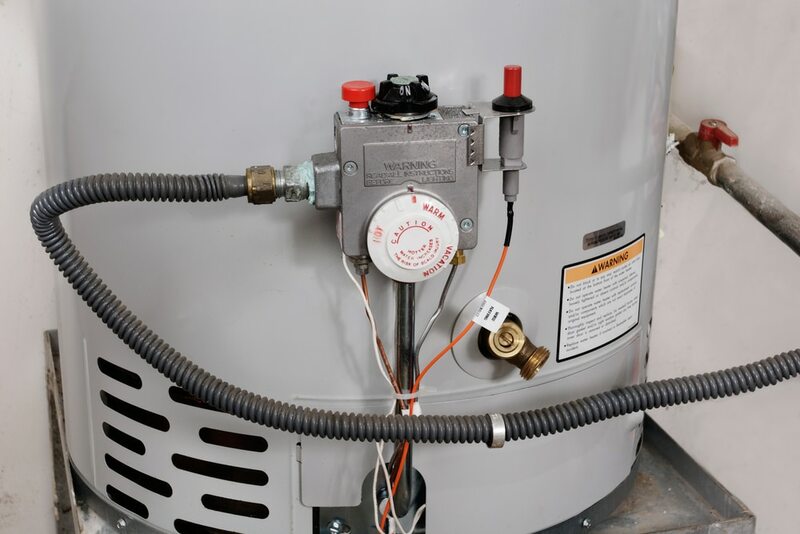 One of the biggest reasons why homeowners wait until the last minute, or until it’s too late, to replace a failing water heater is because many don’t think about it. Most water heaters are in an area of the home that is rarely visited. They might be tucked away in closet constructed specifically for the heater. It might be in a cordoned off room of the basement. Either way, many homeowners don’t see their water heater often. You need to change that habit right away and begin looking for these six signs of a failing water heater. 1) Age: How Old is Your Water Heater? The first sign is less of a sign and more of keeping track of the age of your appliances. How old is your water heater? Was the appliance present in the home when you purchased it? Did you ask the former owner when it was installed? If not, you might want to have a plumber come inspect the water heater to determine its age and if it is near the replacement age. The majority of water heaters are designed to last anywhere from 10 to 15 years. If your heater is closer to 15, you need to start saving and planning for a replacement now. When a water heater fails completely it bursts and floods the home. This will wind up costing you more in repairs than replacing the heater before it bursts. Clogged drains are problems that no one wants to deal with, especially in the heat of the summer. When you notice a clogged drain you should rectify the situation immediately so that it does not worsen to the point of an overflow or other serious problem. If you haven’t experienced a clogged drain yet you should follow our tips in this post to prevent the drains in your home from becoming clogged. Hot water isn’t just important to use when washing your hands or the dishes. It also makes for a great tool to preventing clogged drains. After each time you pour something down the drain you should run hot water. The hot water will help prevent oil from food building up in the drain and continuing down through the pipes. Baking soda is a great tool for cleaning different things around the house. It works especially well when paired with detergent. The two combined can do wonders for cleaning out the drain in your kitchen sink. Not only do baking soda + detergent help move grease and oil through the drain but it also helps rid the drain of odors left behind by food. Do You Have A Slab Leak in Your Mesquite Home? Slab leaks can easily become the bane of a homeowners existence. They are a big deal and can become costly repairs if they are left unresolved. Most homeowners are aware of this fact. However, they typically aren’t sure what a slab leak is, exactly. 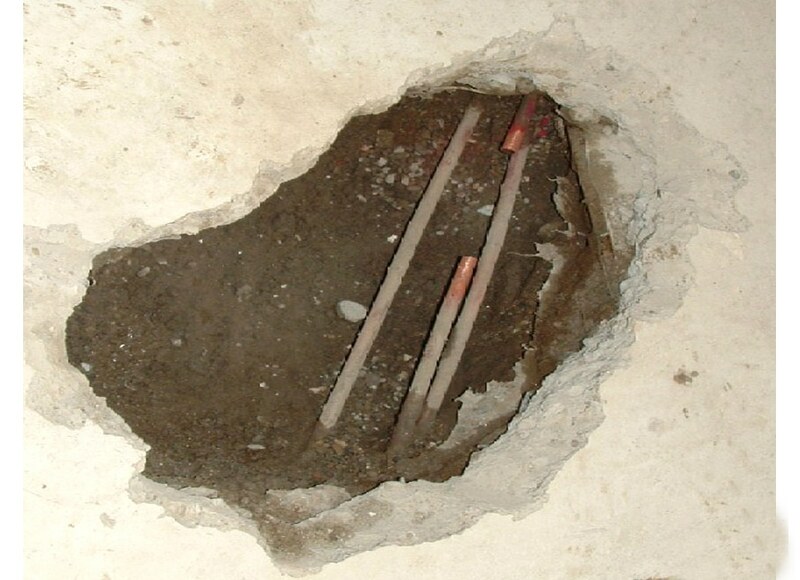 The most basic description of a slab leak would be, water lines leaking beneath the concrete slab that your home was built upon. They are a more complicated problem to resolve than say a leaking faucet or shower head because of their location. This means that it is very important to know how to identify a potential slab leak in your Mesquite home. Slab leaks that are left unresolved can lead to extensive physical damage and as a result, costly repairs. The problem is that most home owners are unsure of some of the signs of a slab leak and therefore take too long to act. Ignoring a slab leak will not make it go away and it’s best to catch them as early as possible. If you are experiencing any of the below signs of a slab leak do not hesitate to call out a licensed plumber in Mesquite to locate and repair it immediately. If you have noticed any of the above signs it is imperative that you schedule a slab leak detection in Mesquite. We can determine whether the leak is actually under the slab and locate the & fix the leak fast! If you’d like more information or need to schedule your slab leak detection and repair in Mesquite do not hesitate to give us a call at 214-388-8838!